Provides the most advanced alternative for periodontal (gum) treatments and for restorative work like bondings and fillings. StarSmile Dental Center uses the award-winning Laser machine to ensure patient comfort during and after procedures. We are proud to be among very few dentists across the United States who are equipped with an all tissue - true dental laser that allows us to offer our patients scientifically advanced treatment choices that are supported by many years of clinical research. The LightWalker Dental Laser that we use in our Dental office in Framingham is FDA approved and won the "Best of Class" Pride Institute's Technology Award. It performs a wide range of procedures for teeth, gums and jaw bones such as fillings, bondings, gum and bone surgeries. With the Dental Laser, we also see an accelerated healing in our patients due to the gentle laser energy and a laser created medically sterile field. We believe that the laser delivers the highest standard of dental care due to its effects and positive patient response. We would appreciate the opportunity to offer you the most conservative laser method of treatment, Wave-Length-Optimized Periodontal Therapy (WPT). Thank you for your interest in this new and exciting technology. Most dental patients are seeking dental care because of common dental diseases like tooth decay and periodontal (bone and gum) disease. Their consequences usually manifest themselves in the form of infections, pain, and esthetic and/or functional problems. Often times trauma, stress, genetics or one's lifestyle contribute to the development of these types of conditions that our patients need to take control of. This is where the modern science of General Dentistry helps treat dental diseases of patients regardless of their ages. It is has been a very rewarding experience to see different generations of families treated in our dental office. We greatly appreciate your referrals and are proud to be you family dentist! Did you know that according to recent studies, 95% of adults feel more comfortable with an attractive smile, and 97% feel that a beautiful smile helps them to succeed in business? Dr. Kathryn at StarSmile Dental Center sees uniqueness of each smile and how each and every cosmetic treatment should be personalized and match your facial features. You are unique, and your smile is unique. Dr. Kathryn's highly developed artistic ability, a gift that can not be taught served many of her patients in creating customized smile makeovers. Please fill in the contact form if you are interested to schedule a consultation to discuss your needs further. Is not quite the same as adult’s dentistry. At StarSmile Dental Center in Framingham, our goal is to create a natural environment where a child enters adulthood free of dental disease as well as dental fears - with good oral health habits that will last a lifetime. We aim to provide complete care for our children patients. Most oral surgery services can be performed or assisted by a dental laser. The laser works by delivering energy in the form of light. When used for surgical procedures, the laser eliminates or reduces the need for dental drills, scalpel, and sutures. From our experience when dental lasers are utilized we have observed accelerated healing in our patients as well as less bleeding, pain, and infections. Often times little or no injections are required. Please see what our patients are saying about laser procedures and Dr. Kathryn. There is a variety of treatments for gum disease depending on the stage of disease and overall health. Dr. Kathryn provides non-surgical and surgical treatments for gum disease, such as deep cleaning, bone grafting, and guided tissue regeneration. Please visit our laser page to learn about less invasive alternatives for traditional osseous or gum pocket reduction surgeries. Receded gum or gingival recession of the tooth is known to create tooth sensitivity, and makes the tooth appears longer, yellowish, and darker near gum line. This is not a reversible process and in its advanced stages, can lead to tooth loss. Care should be taken to prevent further recession. In advanced stages, the major risk is that the natural integrity of the seal around the tooth is lost and bacterial invasion compromises the health of the tooth. Often, gum reconstruction of the recessed area, called a gum or gingival graft, can be implemented to fix a lost seal. As a result of the procedure, the stable band of a firm gingiva (gum) develops around the tooth. Untreated dental issues may result in dental infection, tooth loss, and even affect your overall health. Preventive dentistry helps you to avoid such situations by regularly working with your dentist and fixing minor problems at the very beginning. Our office can also help you select some dental hygiene products like mouthwash and tooth paste that have preventive value. Brushing and flossing regularly will remove food particles and bacteria from your teeth. This helps to keep your gums healthy and prevents tooth decay. Professional cleanings help to remove tartar and stains that patients cannot remove during regular brushing and flossing and from hard to reach spots above and under the gums. Crowns can be made from a variety of materials. However, the most common types are all-porcelain or porcelain with metal substructure underneath, which provides additional strength. A Dental Bridge is also known as a fixed partial denture; it is a non-removable replacement of one or more missing teeth. The bridge is held by anchoring to the teeth or implants on either side of missing teeth and restoring the appearance of natural teeth and an ability to chew and speak normally. A Dental bridge also prevents remaining teeth from drifting out of their position which causes bite changes. The purpose of dental implants is to provide a strong foundation for teeth replacement that would look and function similar to genuine teeth. The implants placed directly into the jawbone. Implants can be done to replace missing teeth as well as a support for dentures that can be called hybrids or all-on-4. In addition, implants can help protect facial structure, by preventing the bone deterioration that can happen when teeth are missing. With implants many patients were able to regain the confidence of eating, speaking, smiling, and enjoying life. Take care of your smile and it will take care of you. Also called "white fillings," are dental fillings that restore and mimic the natural appearance of a tooth’s structure that has been fractured or decayed. White fillings can be used for the replacement of old, defective silver fillings. Dental bleaching, also known as tooth whitening, is a common procedure in dentistry. Dr. Kathryn will help you choose the correct tooth whitening product to maximize your personal whitening results. A denture is a removable replacement for missing teeth and surrounding tissues. Two types of dentures are available – complete and partial dentures. While complete dentures replace all teeth in the jaw, a partial denture will only replace some of the teeth, and leave others untouched. Some partial dentures can be substituted with Snap-on Smile appliance option. Dental implants can be placed to support the denture, making the denture more secure. A person, who has lost the ability to chew and smile with confidence, regains this ability. Both, full and partial dentures are removable. Are ultra-thin veneers that are placed over existing teeth without drilling or reshaping the tooth structure (as opposite to regular veneers). Consider Lumineers as a painless, permanent cosmetic dentistry solution for stained, discolored, chipped, crooked, or misaligned teeth. Is Lumineers a good solution for you? At StarSmile Dental Center, Dr. Kathryn will help you to choose the right custom solution specifically for your teeth. Get yourself a beautiful smile you’ve always wanted! Is a new, innovative alternative to regular braces that provide a tooth straightening solution. This new technology lets you get the smile you have always wanted without bands, brackets, or wires. Invisalign® is a virtually invisible solution. So, you won’t draw unwanted attention to your mouth while being treated. In fact, no one would notice any difference unless you tell them. Invisalign® aligners are comfortable to wear and can be removed to eat, drink, brush, and floss, as usual. A typical Invisalign® case takes about a year to complete. Dr. Kathryn Polyakov, an Invisalign® Certified Dentist, can use Invisalign® to treat the vast majority of common problems among adults and teens. A revolutionary, removable and beautiful smile solution that requires no shots, no drilling, and no adhesives. 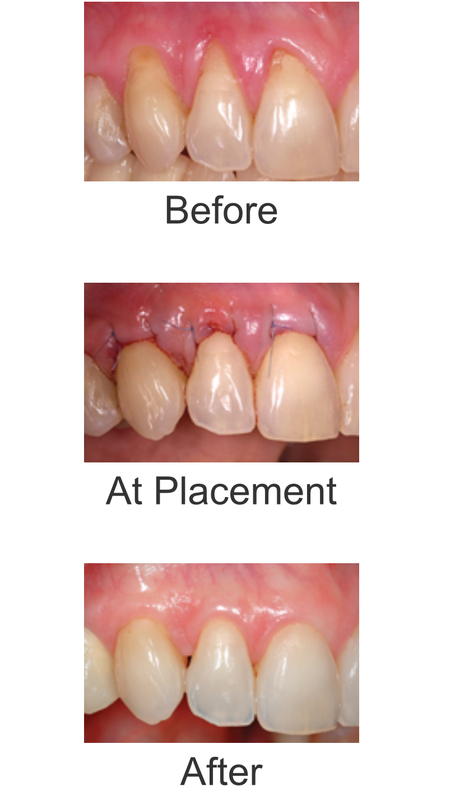 Snap-on Smile is an affordable, non-invasive, reversible alternative to restorative/cosmetic dentistry. Patients using a Snap-on Smile appliance report an immediate boost to self-confidence. Your custom designed Snap-on Smile appliance will only take a couple of weeks to complete. The results are an affordable temporary solution that allows a patient to seek a more extensive restorative dentistry solution later on.